The inside of Michael Mina's. The Mina Group will take over the lease at 252 California Street on May 1. No decisions have yet been made regarding a finalized concept, name, or timing of opening. 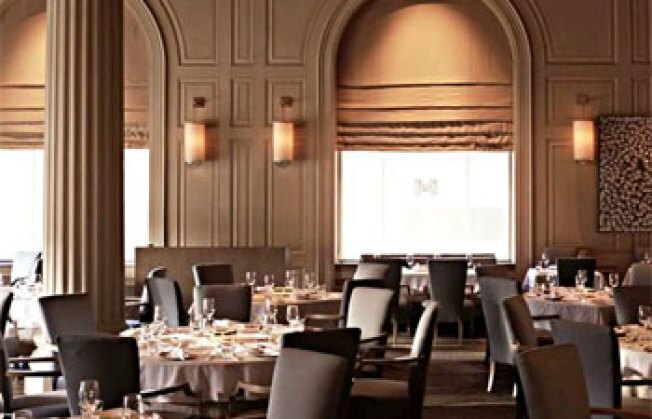 Although the Mina Group will take over the new location, the plan is to continue to operate restaurants at both locations; its flagship venue at the Westin St Francis and the 252 California Street. This is just a different version of what Inside Scoop reported Wednesday, and doesn't exactly line up with testimonials here, here, and here. But closure of both Michael Mina and Aqua in a month's time or longer would fit all above accounts. And it's no secret that fine dining concepts like these are currently hurting, as tacos, burgers, and pizza continue to take over the metropolis. Sit tight as the story develops. Or give some love to that every-ready tipline.